PLOY gets the balance in ?fusion cuisine? just right. IT used to be that simply tagging on the term ?fusion cuisine? to a menu was enough to add an epicurean air. With our palates and plates becoming increasingly international, however, it is no longer enough to just bring diverse flavours and ingredients together in a dish. Instead, said concoction needs to be not just surprising and interesting, but also delightful and, most of all, delicious. Japanese-Thai restaurant PLOY in Damansara Heights, Kuala Lumpur is one of those establishments that gets the balance just right, and its updated menu continues to offer what it?s garnered a reputation for: flavours, ingredients and techniques brought together not because they are fashionably multiculural, but because each complements the other just so, to produce a delectable dish. The Apple Sour is a refreshing combination of apple juice and sour plum. Far from being a prelude, PLOY?s appetisers are a delight in their own right, often outshining the mains with the sheer creativity poured into them. The Kabocha Tempura, for instance, offers a lovely twist on a Chinese favourite, with sweet golden pumpkin wedges sprinkled with crispy salted duck?s egg offering the perfect contrast of flavours and textures. The Tempura Surprise, meanwhile, features crispy parcels of fresh sea bass wrapped in oba leaf, and the sharp taste of the leaf provides a good balance to the oil of the tempura, enlivening the fish?s subtle flavours. 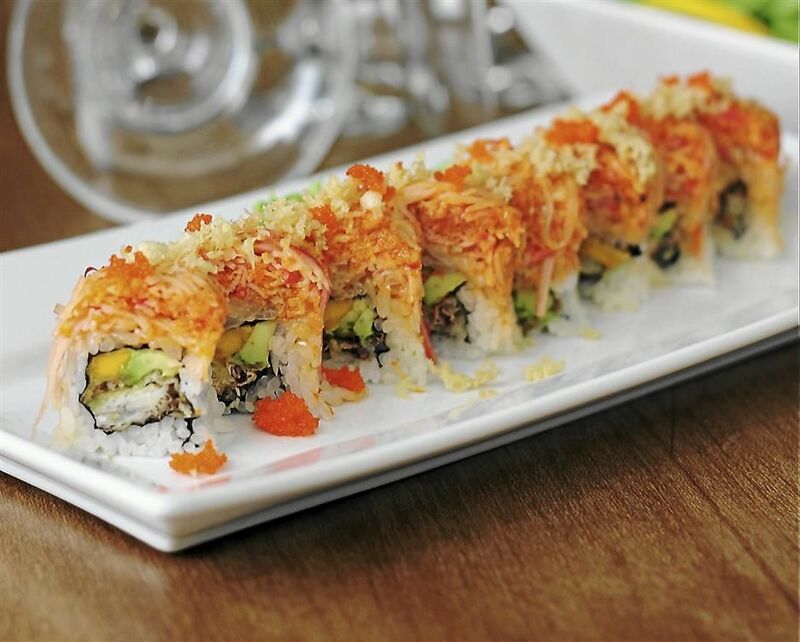 If you have a yen for sushi, the Crab In A Wrap is bound to win you over, with its delectable morsels of soft shell crab, juicy mango, avocado and spicy kani all nestled inside fresh Japanese rice inside a blanket of nori. The clean, distinct flavours and perfect texture of the rice make this a simple yet absolutely delicious dish. In contrast, The Magic Puff features a bold combination of tastes: homemade puff pastry is loaded with goat?s cheese and fresh cherry tomatoes, then garnished with wild rocket and truffle oil. Each bite of this perfectly-flaky creation is pure indulgence, with the creamy tang of the cheese and juicy tomatoes set off by the earthy truffle oil and peppery rocket. The Crab In A Wrap is a winner with its distinctive flavours and perfectly textured rice. For those that prefer to start with something green, PLOY?s selection of salads is equally tempting. The Golden Needle Salad, for instance, is a beautiful mix of broccoli, cubed avocado and silky tofu, in Wafu dressing, garnished with the fried straws of the golden needle flower (also known as the daylily) ? simple, yet bursting with flavour and texture. The Tuna Wakame Salad, too, relies on its fresh flavours, by throwing together salad greens, avocado cubes and succulent chunks of tuna with a sesame and shoyu dressing. For the main courses, it is worth noting that portion sizes are often hefty enough to be shared. 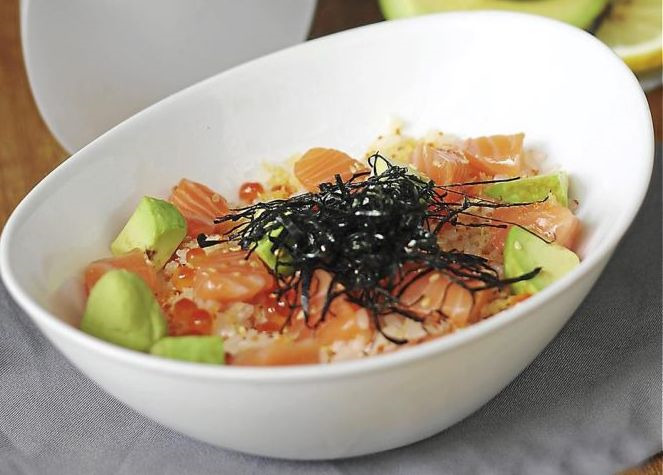 New additions to the menu include The Godfather Special, where fresh salmon and avocado cubes are served on a bed of rice along with ikura (salmon roe) pearls, tempura flakes and nori wafers, topped with PLOY?s special royu (chilli oil) sauce. The Smoked Duck Breast With Chicken Ham Pizza, on the other hand, while delicious, lacks the imagination that is so apparent in the other dishes. A much better example of how Mediterranean and Asian food can come together is the Pasta From Heaven, where angel hair pasta with sakura and ebi (prawn) is drizzled with truffle oil and garnished with dried shrimp and bonito flakes. The sweetness of the prawns is perfectly balanced by truffle oil, making each mouthful of pasta a decadent experience. Rounding off these new additions to the menu are a selection of eclectic drinks, including the Apple Sour (fresh green apple juice with sour plum), Cool Cucumber Melon (honeydew, peach and cucumber juice with mint) and Tomyamtini (a cocktail made of vodka, mango juice, ginger flower, kaffir lime leaf, cili padi and lemongrass).